Can you believe we're already in April? Are you sticking to your New Year's Resolutions and commitments so far? I know one of my resolutions is to have more of a social life. Now that I've finished paying for school and I now drive a car I'm not ashamed to be seen in, I feel like the world is my oyster! I started doing more things last year for my birthday, and since then I've been slowly filling up my social calendar with a variety of events; but I had to get really creative with it, because some days I just couldn't. I'm sure you've been there before: “Can’t hang this weekend, I’m broke,” is probably one of the most tragic texts that you’ve probably sent before. You stay home on a Friday night, covered in Dorito crumbs scrolling through Instagram stories with hard-core FOMO; reminiscing on the days when you could afford to do things like ‘socialising’, or ‘leaving the house’. If you follow me on Instagram, you may have seen some photos of me sipping champagne and jet-setting. Would you believe me if I told you I almost never paid for most of those nights? You probably think having a social life can be really expensive, right? Well, it doesn't have to be. Remember when I told you how I saved for my European trip? Well now I'm back with 10 (almost) free ways to get creative with your social life so you too can be "balling on a budget". People were surprised when I took my BFF on a bestie date to Baha Mar for only $30 (both of us). How? When eating out, choose appetisers or desserts. Or you can even fill up on sides. They're the cheapest things on the menu that can leave you feeling just as full as a main entree. I was so happy when Senor Frogs offered a Ladies Night, where ladies can drink 3 house drinks FOR FREE! If you choose to do this, try to go early as the bar fills up pretty quickly with women who all demand the bartenders attention. Find happy hours and hop between them. The good thing about happy hour is BOGO or discounted drinks and foods. Once you've had the cheaper drinks, you're fuelled for a night of partying or at least liquored up enough to feel like you did something fun, without the late night struggles. Besides, 6 PM is totally the new 11 PM. Do you and your friends like to watch movies? Whether it's Wonder Woman, Black Panther or Star Wars, there's been a lot of blockbusters hitting the big screen recently; so of course you're going to want to watch them in a comfy environment with your favourite snacks. So what's the best way to so this? Throw a movie night at home, complete with “stadium seating” (bar chairs behind a couch behind a layer of pillow seats) and popcorn. You can serve frozen pizzas, hot dogs or your other favourite appetiser. Save money by screening movies you already own, or use an Android Box, Chromecast or Amazon Fire Stick. Instead of paying full price to attend major events and festivals, look into group volunteer activities such as Hands for Hunger or the Rotary Club. No matter how expensive the face value of the ticket, it’s very likely that the event management team is looking for volunteers to help with the day-of celebration. So if you volunteer with an organisation for an event, you're able to attend it for free and still enjoy it as if you paid for a ticket. I love when my friend's have a "potluck" because it's the easiest way to get fed with minimal effort. 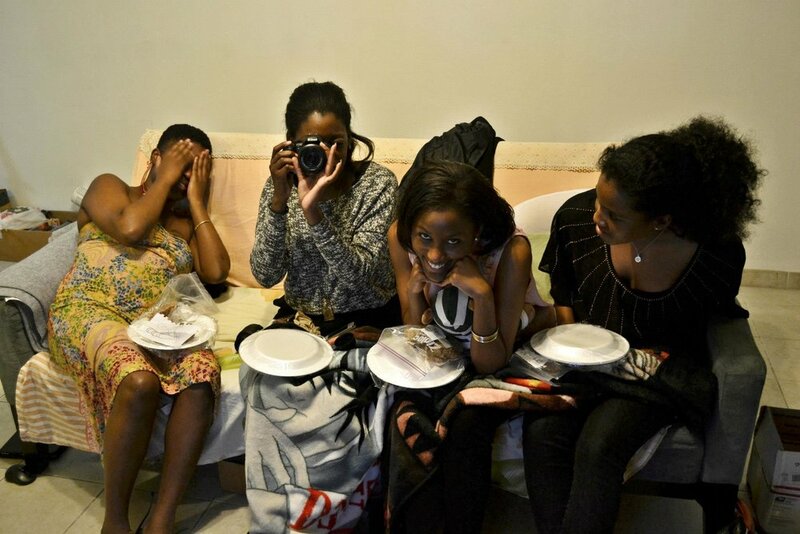 Dinner parties are one of the best ways to see mates without spending too much money. If you encourage everyone to bring a plate or some wine, you’ll have a whole table of food without that awkward “are we splitting it or just paying for what we had?” conversation at the end. Themed nights (Mexican night, breakfast foods, a meal starting with the first letter of your name), or as cheesy as it sounds, playing some dinner party games can be ridiculously fun. And if there's leftovers, don't be ashamed to tote (I've recently upped my toting game by bringing my own lunch container). 6. Let's Go to The Beach! One of the best perks of living in The Bahamas is the fact that we don't have to pay a dime to go to the beach. A lot of cities charge parking for beaches or entrance and I think that's ridiculous. So if you didn't know that, I suggest you grab a friend, a towel and a beer and head on down to the beach to catch some FREE sun, sand and waves! I LOVE wine tasting events. Even if I don't like the wine served, it's still FREE wine! Are you kidding me? Of course I'm going! Every month Young's Fine Wine and Mahogany House each host a wine tasting event where you can sample at least 6 different wines for FREE. And the wines offered are always discounted for that night only. Young's Fine Wine is always themed so all the wines will be from a particular region or similar in other areas; whereas Mahogany House usually has 6 white wines and 6 red wines. Follow them on Facebook to stay up to date so that you can know when the next wine tasting is. Here's the thing, most stores know that at least 90% of the people at their sip and shop event are only there to sip. Don't worry about offending them. Sip and shop's are great ways to sip expensive champagne while marvelling over who in their right mind would actually buy those expensive items. If you don't know, now you know. You can learn how to dance Salsa, Meringue and Bachata for FREE if you go to VIA Cafe on Thursdays and Melia Hotel Lobby on Saturdays. It's SOOOOO much fun! Everyone there has been dancing for quite some time but don't let that intimidate you. There's often a few choreographed group dances (similar to Zumba) that you can easily join. So put on your flats or kitten heels and get ready to sweat! Speaking of sweating, why not get together with your girlfriends and start a fitness group. Not only is it easier to work out in front of your peers because there's less judgement, but you'll have a support system that will keep you motivated and excited about meeting your goal. In fact that's how I got closer to the ladies in my church. We didn't really know what we were doing but we had a good time laughing and helping each other. So work hard or hardly work; as long as you're together. you're bound to have some fun with it! Going out with your friends to enjoy fine dining, drinking and entertainment doesn’t have to traumatise your budget. Just plan it out in advance and get creative with your choices and your wallet and reputation will both thank you! What's your favourite way to "Ball on a Budget"? Share your tips and reactions to this post in the comment section below!